Guess what? 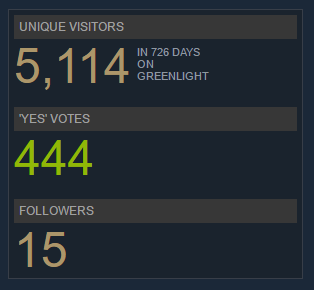 The game I designed back in late 2013 and submitted to Steam mid 2014 finally got Greenlit. Tronix Defender is actually going to be published and sold on the mass market! To be honest its a couple of weeks since I got the email and the absolute tear-inducing joy has now worn off a little bit – but only a little. Now that the afterglow is fading to a slight blush – there’s a hard slog to rebuild, from scratch, a game which I’d utterly given up on. And not only that, but there’s also a puzzle here – why so suddenly after two years? Sadly, and as a testament to just how much I’d given up on this game, I deleted my original screencaps of the Greenlight campaign whilst spring cleaning my PC, in an effort to win back my ever decreasing SSD space… apart from this one from Day 2. Don’t they seem odd? Just 10% yes votes? And you know what is really odd? That number on the left, 10% yes votes – that’s been burned into my memory from way back in 2014… it’s been sitting at that level for bloody ages! 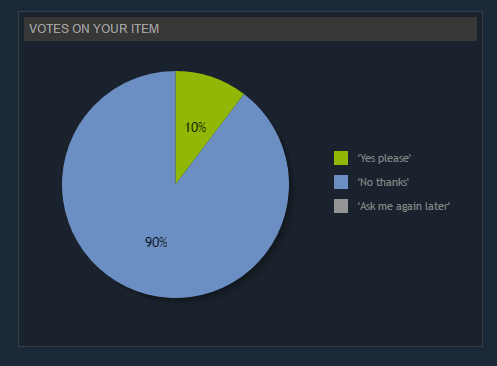 So why does that suddenly translate into a yes? 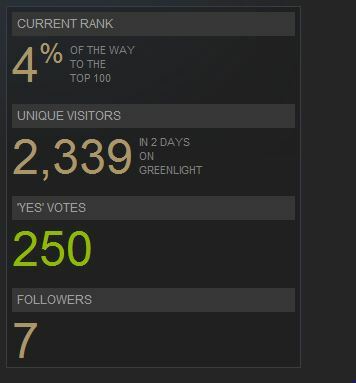 I’m not sure, but my best bet is Steam have lowered their voting criteria score requirements in an effort to open up their platform. Back in 2013, this article>>> http://www.gamasutra.com/view/news/187374/Lets_talk_about_Steam_opening_up.php, talked about gamers and developers hopes and worries for Steam, and it looks like – very gladly – Steam have kept a lot of control over their games selection whilst giving a much more achievable target. It may also have been impacted by the fact that I had a playable demo available (now removed so journalists don’t think its the finished product) and the amount of total visitors – I’ve noticed that has gone up slowly but surely pretty much every time I checked back in 2014 and even in 2015 before I’d given up. It could have been another follower? We really can’t be sure. I’m ridiculously, fence-jumpingly, happy to have finally made it. 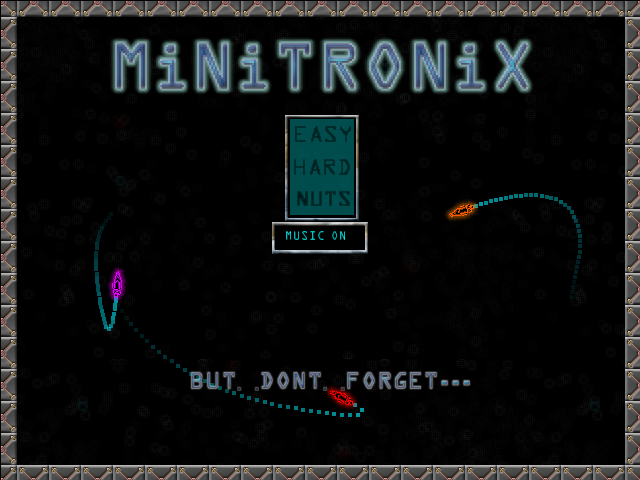 I’ll write up more about how I’m planning to revamp Tronix Defender’s mechanics to make it a little more unique soon, but for now here is something to play. Please don’t expect too much – it is just a mini game and I made it well over a year ago – the final Tronix Defender is going to be entirely different in both presentation, play style and mechanics.